Another fun theme challenge from the team at the Art Elements blog this month! 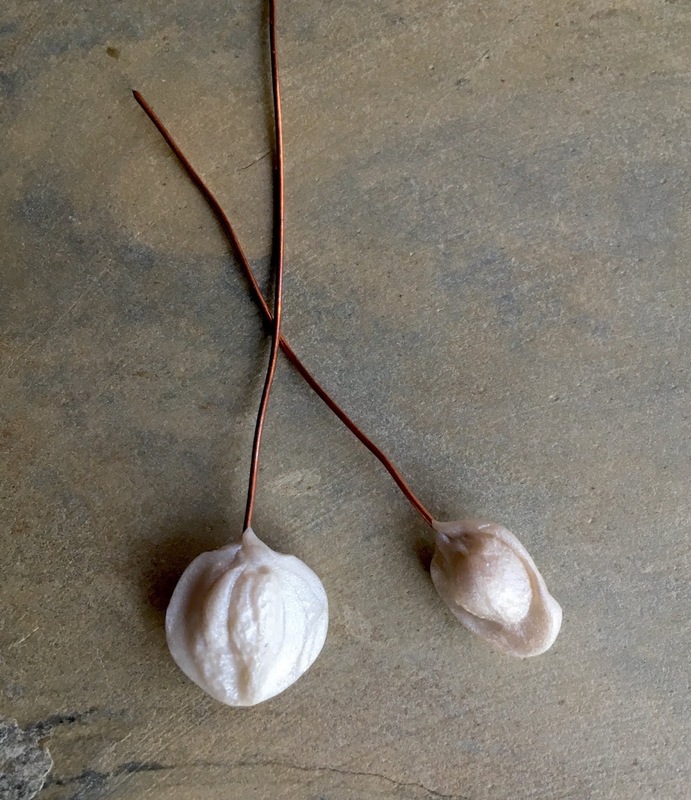 Jen Cameron has chosen seed pods to inspire us for July. I immediately thought of some fun components that I got from Anna Bronze at Bead & Button last year. They have a couple of collections that are nature and spice inspired that were just perfect for this challenge. Now I had just the excuse I needed to play with some of my little lovelies that have been languishing. Thanks, Art Elements!! I'm not entirely sure what the Anna Bronze component that I chose for my necklace is really supposed to be, but it felt pod like to me! I decided to pair it with a lantern/melon bead from Gaea and some brass bead caps with a chain tassel hanging down for the pendant. I added links with coordinating Czech glass. The back is brass chain and the whole thing is long. This necklace is currently at Unearthed Arts in Waconia. Next up I played with some star anise seed pods from Anna Bronze. These little cuties have multiple holes (at the 4 compass points) so it seems a shame that I'm only using one, but I wanted the pods to shine! I just made some little bead links with some fun little melon beads for a small pop of color. I feel like the texture of the melons also seems seed pod like. In addition to the finished pieces that I made, I did make progress on a couple of other pod-related projects. During Heather Powers' Fairy Garden Headpins class at the Adornments Retreat I ended up with a couple of headpins with a pod-like feel. 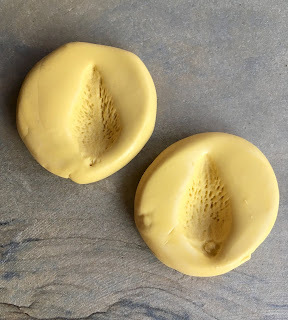 One of the items I used for mold making was some sort of flower bud, I'm not sure what the other little guy really was, but I liked the impression it made! They don't look like much in this photo especially since I haven't painted them yet, but I think they're going to be cool once I get them finished! When I got back from the retreat, I went looking in the garden and yard for other items to make molds of... one of the things that I found were milkweed pods. I've really never seen milkweed up close enough to observe it's life cycle before. When I left for the retreat the plants still had some flowers on them but by the time I returned it was all about the pods! I haven't gotten out the polymer clay yet, but I did make what I think will be a great set of molds. I can't wait to use them! Thanks for stopping by! This is a blog hop so check out what everyone else was inspired to create! Sarajo - You are here! Beautiful jewelry, Sarajo, love the star anise earrings! I'll watch for the finished headpins! Wonderful how you brought those different components together and you are right, those milkweed pod molds look as if they will be great, too! I bet that was a really fun retreat! And you get to make your own original molds too. Very cool. I ADORE those star anise beads. They are beautiful and are perfect in those earrings. Thank you for participating again this month! Hope to see you again for next month's challenge! I love your necklace. The colors and design are awesome. You used those components beautifully in your jewelry designs. They really shine as the focals. 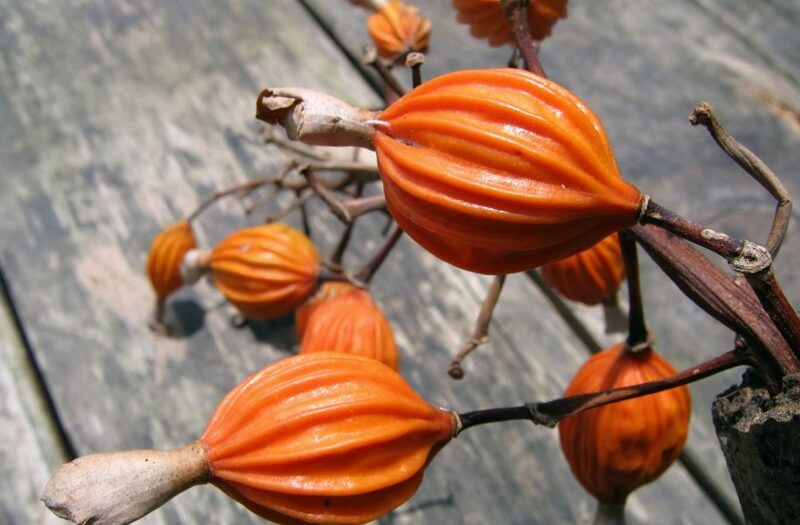 Your pod pins look fun and I hope too see your milkweed components when you get around to making them. I love your necklace! Very pod like & beautifully designed. I would probably wear those star anise earrings everyday! Love those headline you created too. Can’t wait to see what you come up with using those molds. I really need to try mold making sometime. Lovely components, and beautiful jewelry! I like your decision to let the star anise components shine by not overwhelming them. 1. I need to save up for Anna Bronze shopping at BF. Star anise? Gorgeous. I like that you let them shine! 2. Isnt making molds addicting? 3. 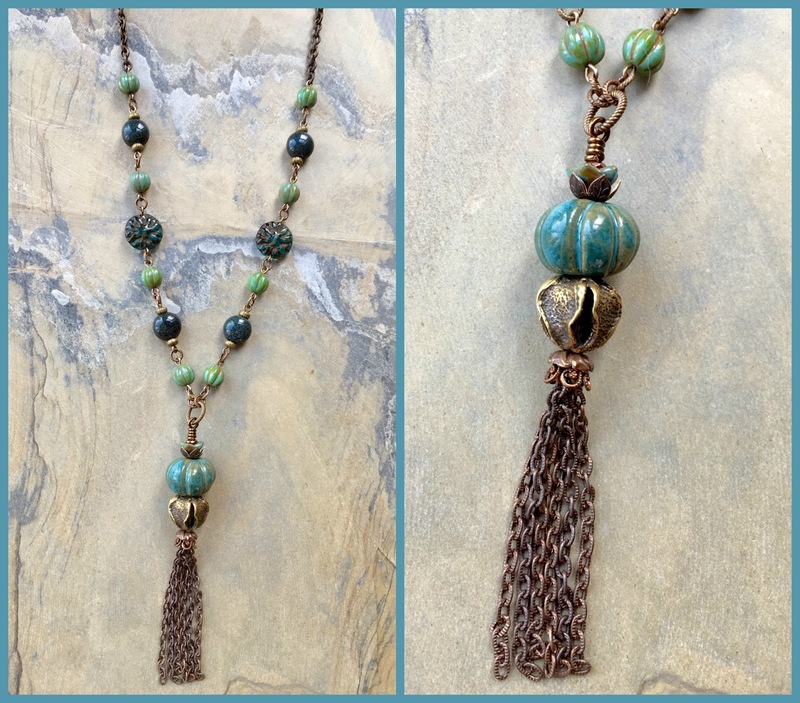 I love your necklaces - the Gaea bead is podlike too! What lovely designs you created I really like the star anise and can't wait to see what your moulds turn out like! `Great designs - love the necklace. Both of your inspired creations are a success! The star anise is super original. Definitely want to see your headpins and molded items once finished. I love all your projects in this post! That necklace is my favorite, but the earrings are fab too. And, I can't wait to see what comes of your headpins and mold. I bet they'll be fabulous too!! 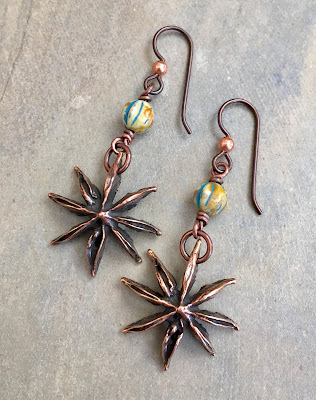 Gorgeous work, especially the star anise earrings... they're fun. Look forward to seeing more pod inspired work.